Jonathan Bengel, EA, M.Ed has over 14 years of tax and accounting experience. He started his career in 2005 after earning his BA in Accounting. 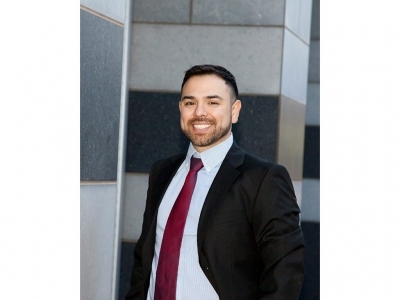 Originally working in Bisbee, AZ, he moved to Phoenix, AZ to work for several CPA Firms. He eventually accomplished his goal of becoming a classroom teacher and earned his Masters in Secondary Education. Although he no longer teaches, he uses his skills as a teacher to help his clients to become self-empowered by understanding tax and accounting principles. He started his business in 2015 and dedicating himself to his company 100%. He became an IRS Enrolled Agent in 2016. As an Enrolled Agent, he has unlimited powers to represent his clients before the IRS. He can also represent clients that are living abroad but might have IRS issues. His clients range from students to multi-business owners. His clients live all over the World and the United States. For Jonathan, helping his clients through the stress of taxes is his top priority. He believes that no one should have to stress over their tax situation, but instead, should give their stress to him and allow him to deal with the IRS on their behalf. When you need an accountant or tax preparation in Phoenix, AZ, consider JB Financial at the Lake Biltmore Corporate Center.